Wacky Watercooler Blog Hop: September Mix-Up – 2015 Holiday and Annual Catalogs Together! Welcome to our September Mixed Up Blog Hop. We’re mixing it up this month. Showcasing a mix of Holiday Catalog and the Annual Catalog. Showing how well both work together. Trust me when I say…we have two super catalogs this year (and yes I expect the same of the Occasions Catalog when it is revealed in January too). 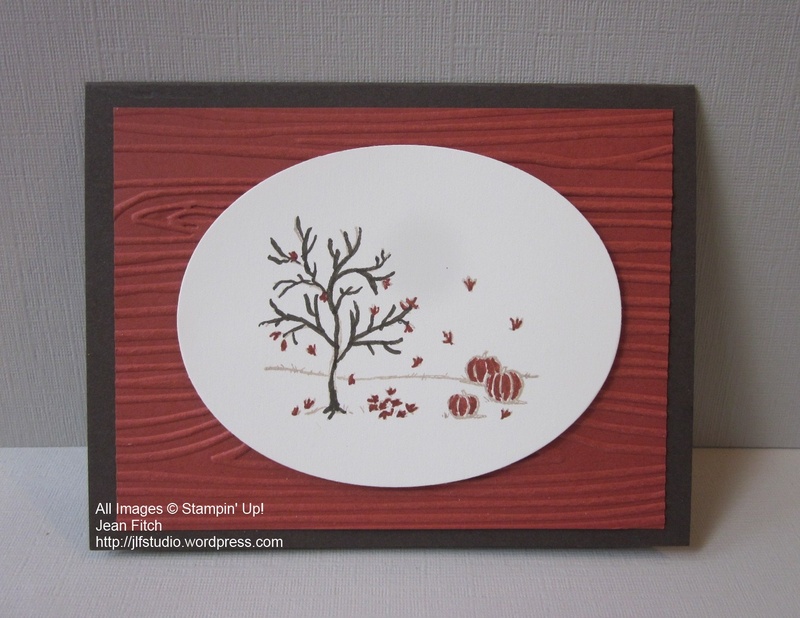 Stampin’ Up is really on a roll this year. When it comes to the Holiday Catalog you’ll want it all! I pretty much feel that way about our 2015 Annual Catalog as well. Hopefully you’ve arrived from Debbie Spano’s blog. Debbie always has something wonderful to share…don’t you agree? Can’t wait to go back and study her amazing projects a bit more closely. As usual you can follow this hop in a circle going either direction. Of course you can also return to the home hop site if you ever get lost along the way. This hop I’m showcasing simple. I have quite a few gifts to share with friends and neighbors this year. I’ve connected with some wonderful people locally who’ve been such a help now that I’m a tad more homebound. They all deserve some special treats to show my appreciation don’t you think? One of the best things about these sets. 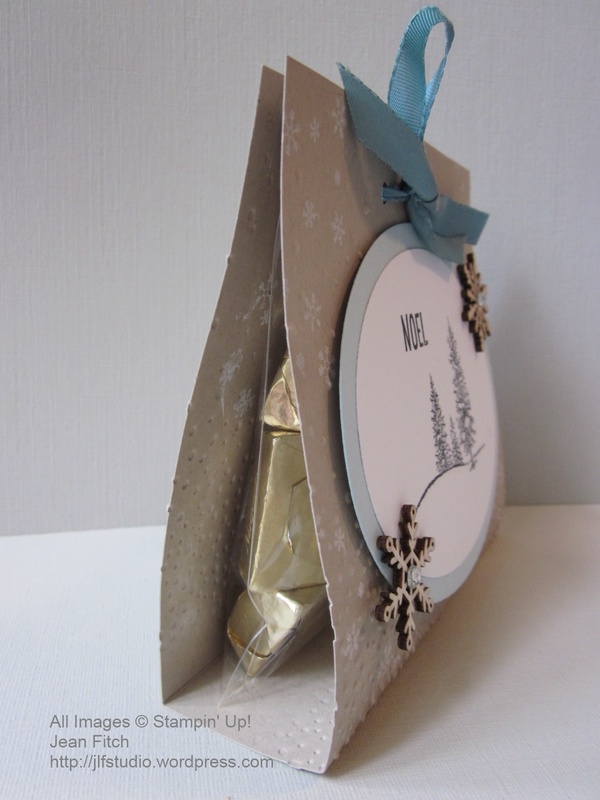 Once you have a design in mind both the card and a matching treat bag take about 20 minutes to make the pair. Given together or singly this is a fun and easy set to create with. I had it in my head that these were small stamps since they were designed to fit in the window of the paired die. Nope…these are some nice sized scenes that can really show off their full size goodness all on their own! Ink: Crumb Cake, Early Espresso & Cajun Craze markers. 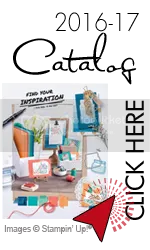 Other: Big Shot, Woodgrain Embossing folder, Oval Collection Framelits, Seasonal Frame Thinlits, Gold Cord, Very Vanilla Thick Baker’s Twine, SNAIL , Tombow multipurpose adhesive glue, dimensionals. Clear Envelopes (for candy). Simply Scored Board. 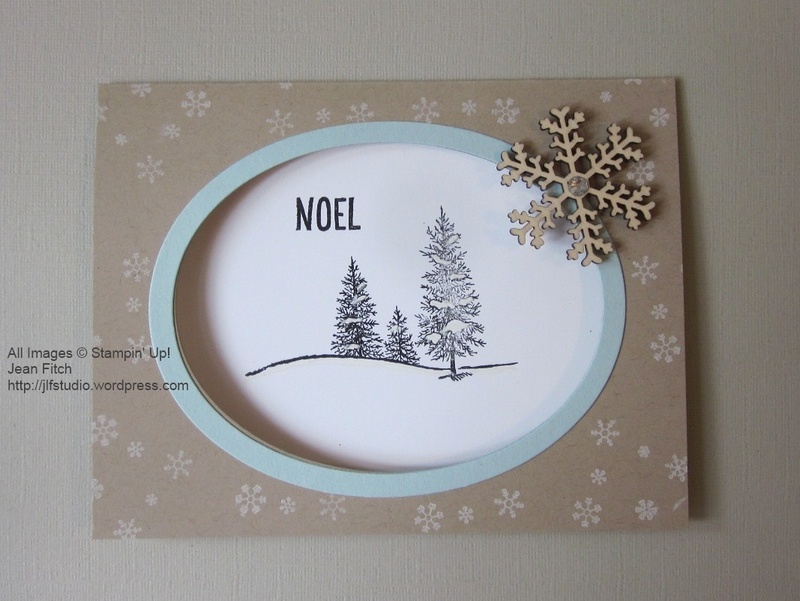 Next up… A winter scene from Happy Scenes paired again with the oval framelits. Here are the close ups so you can see the details. There are more Holiday and Annual products hiding in the treat set. I discovered that the new 6″ square embossing folders like Softly Falling make creating with larger sized projects a dream. 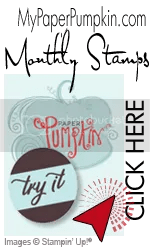 Tip: The clear envelopes Stampin’ Up sells in the annual catalog on page 149 are perfect for holding candy or other treat in this type of treat holder. Insert your treat and close with the self adhering flap. 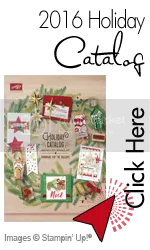 Use a Crop-a-Dile or other punch to punch through the paper and the clear envelope at the same time. Insert ribbon and you’re done! 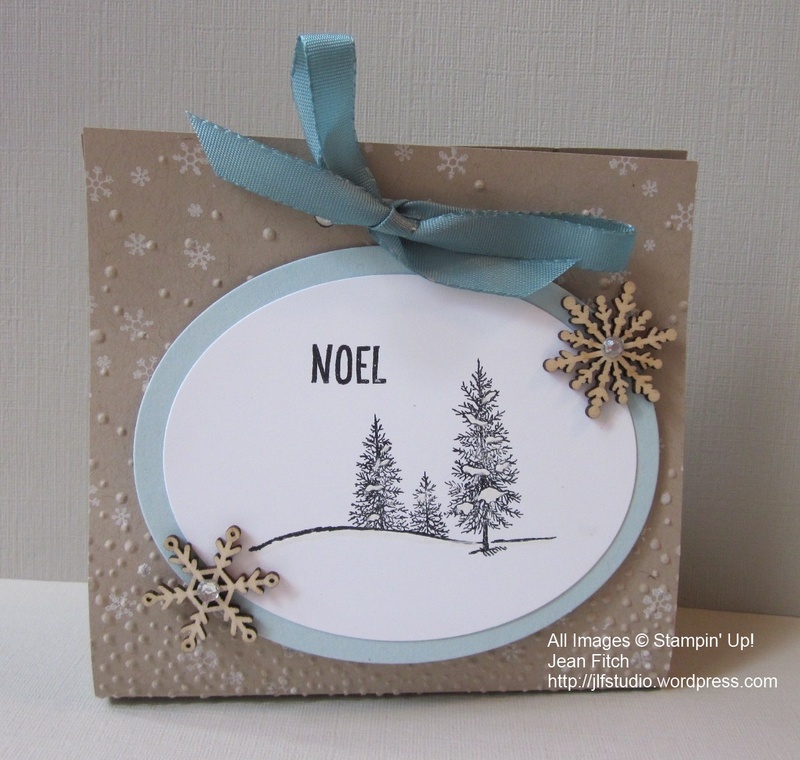 Other: Big Shot, Softly Falling Embossing Folder, Oval Collection Framelits, Snowflake Elements (wood), Basic Jewel Rhinestones, Lost Lagoon Taffeta Ribbon (retired but available on the clearance rack), SNAIL, Tombow multipurpose adhesive glue, Fine Tip Glue Pen, Glue dots. Crop-a-Dile, Clear Envelopes (for candy), White Gel Pen. Simply Scored Board. I used the White Gel Pen to emphasize the snow sections on the tree and to draw a white line below the black snow bank line. Subtle…but I like the effect. Score paper at 4-3/4″ , 6-1/4″. Fold along score lines and crease with bone folder. Emboss with folder if you wish or stamp to create a background. Decorate as you wish. 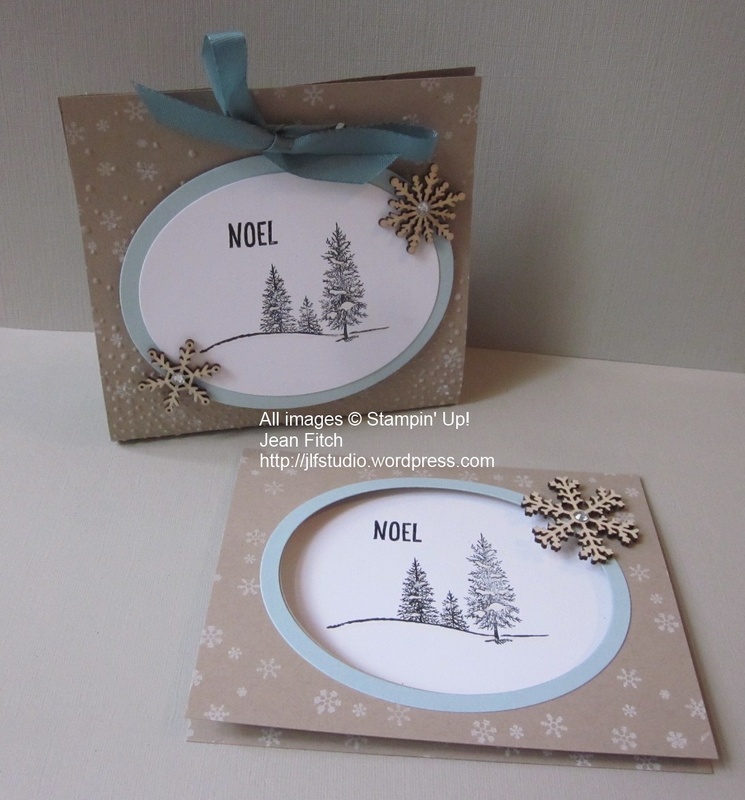 Punch holes at the top or use a small die or punch to create an opening to tie ribbon through. Easy Peasy! I encourage you to play with these fun new products. As you can see they coordinate with products you may already have or can find in the Annual Catalog. You can create something fun even without coloring the images. Of course…if you love to color and have the tools…they are even more beautiful. I have a shameful secret to confess here. Well…shameful for a demo…when I sat down to create my project I discovered that all my coloring tools were either dry or missing in action! Except for a handful of markers. Shameful right? No worries. 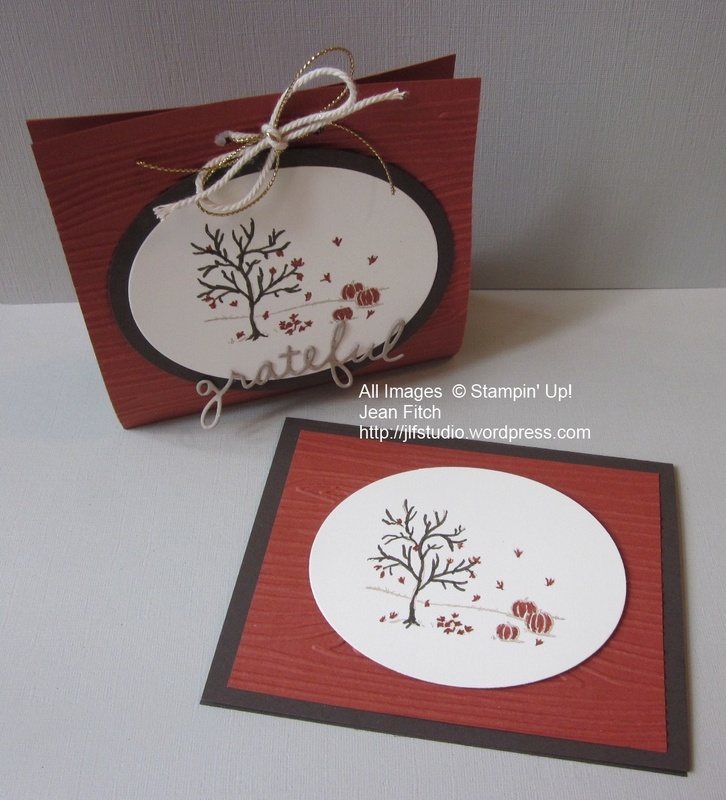 Stampin’ Up has lots more they can renew my supplies with. If you’re in the same fix give your demo a call and they can set you right up. Of course if you don’t have a demo at the moment I’ll be happy to help too! That’s it for my share of the hop. Time to move on over to my dear friend Marsha’s wonderful blog where she shares her always creative outlook and fun projects. Jean, it’s wonderful that you have met so many great people to help you out. They will absolutely love what you make for them. As for me, well you have just finished the job Deborah did in making me realize I need that Happy Scenes bundle! Jean, LOVELY projects. I like the fact that they could be card format or treat. Simple is beautiful and these are lovely. Thanks so much, Jean, for sharing the directions to make the treat holder. I’m going to use that for Halloween treats. I love the simplicity of the stamps in the oval; I have no doubt that the recipients of your treats and cards will enjoy them! Oh, Jean, I just love these! And it’s so sweet of you to include the directions. The Happy Scenes are great paired with the ovals – it shows them off to great advantage! Jean what wonderful projects. I like the pairing of the treat holder with the matching card and I love how you’ve used the Happy Scenes on it’s own. Now I can’t wait to ink up mine, as it’s just arrived and I’m feeling the vibe to stamp some simple cards. Thanks so much for the tutorial on the treat bag too. Awesome! Jean, thank you for showcasing simple! Such sweet projects. I’m thankful you have such wonderful people to help you out. I’m sure they will love your creativity and the treats! Thanks for sharing the instructions! You’re awesome! Jean, you helped me figure out my treats for my card classes next week. I think simplicity is the way to go this time of year. Love all your creations. Such darling projects Jean. Love the simplicity of the the treat holder as well as the versatility you highlighted for that set. I agree with you Jean – the Happy Scenes stamp set is the best! It’s so versatile, and you’ve really shown it off wonderfully. I just love the matching card & treat holder; definitely adding it to my ‘must CASE’ list! Thanks for sharing, my friend! I love your projects Jean! I never thought of using the Happy Scenes stamp set without the window frame, but you’ve inspired me! Great job! Hi Jean, thanks so much for continuing to be part of this terrific blog hop. I love the way you just discovered that the images for the Happy Scenes set were just small little things. They really are large enough to use for regular cards with that window, aren’t they? And you’ve done a wonderful job of proving exactly that. Lovely projects, Jean! I love the matching cards and gift bags. Jean. these are lovely! Thanks for the instructions.